Add a powerful punch of freshness to your Caesar with these remarkable Rimmers. Perfectly mixed with a melody of herbs and spices, it adds a sweet and salty flavor to the Caesar that perfectly complements the taste. 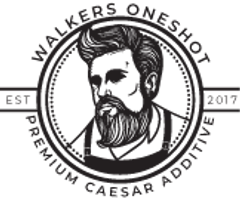 A rimmer is a great finisher as well as a great starter, and Walker's Rimmers are off the charts good!